Last week we told the story of sugar magnate B.T. Rogers whose entrepreneurial spirit resulted in a 127-year-old industry and an impressive waterfront factory that is still in use today. This week we look at the results of that burgeoning sugar enterprise which afforded the Rogers family a baronial lifestyle. 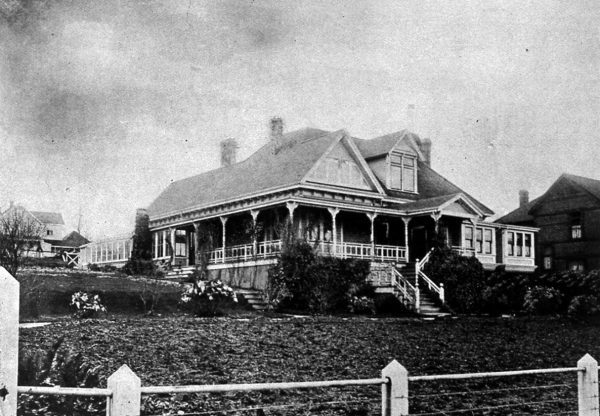 Rogers with his wife Mary Isabella built two estate mansions that remain Vancouver landmarks: Gabriola on Davie Street, and Shannon on Granville Street. 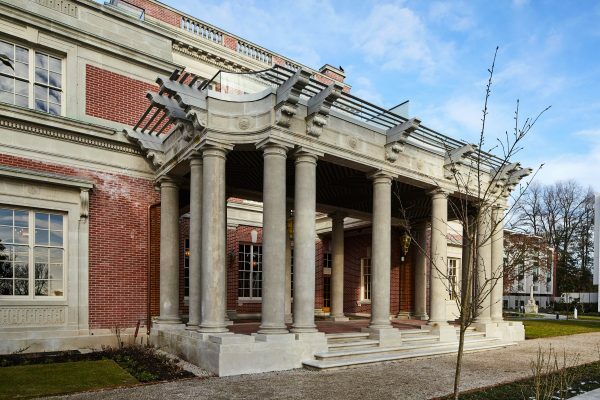 Glamorous, resplendent and exclusive, both of Rogers’ mansions epitomize early 20th century wealth and privilege and remain as iconic heritage locations in Vancouver. As the city grew, the West End became less fashionable. On a trip to England in 1911, B.T. fell in love with the English garden aesthetic. In 1912, B.T. purchased a ten-acre parcel of land at Granville Street and Shannon Road (now 57th Avenue) on which to build a grand estate home exceeding the splendour of Gabriola. Charles Bentall, of the Dominion Construction Company, was asked to build his house. By 1913, architects Somervell & Putnam were hired to design a large Beaux Arts style house, coach house and garage and Parisian firm L. Alavoine & Co. was retained to design the interiors. Called Shannon, this ambitious forty-room mansion was the largest residence west of Toronto. In the summer of 1918, before the house was complete, B.T. Rogers died unexpectedly at the age of fifty-three. His widow, daunted by the scale of the project, asked Bentall to halt the work at Shannon until she could sell Gabriola. The construction of Shannon went on until 1925, but Gabriola had still not been sold, so Mrs. Rogers accepted a proposal to redevelop the Davie Street site. The main house was converted into six elegant apartments, retaining many of the original interior features, while the conservatory and greenhouse were removed to allow the construction of the new building. In the 1970s, the new Angus Apartments building caught fire and burned down, but the main house survived, and continued to be used as a residence until 1978. 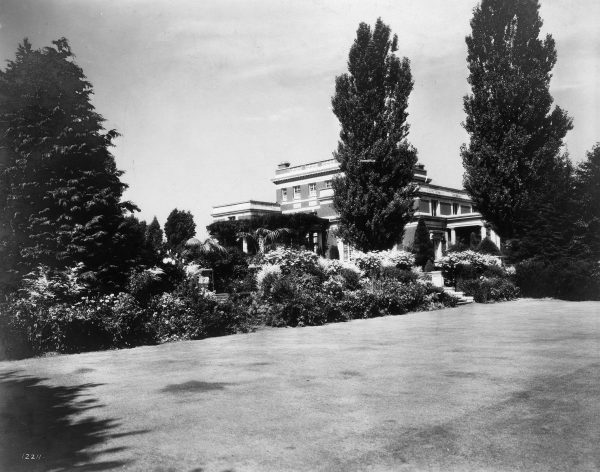 During its heyday, Shannon was home to a staff of twelve, and played host to many of Vancouver’s most elegant parties. 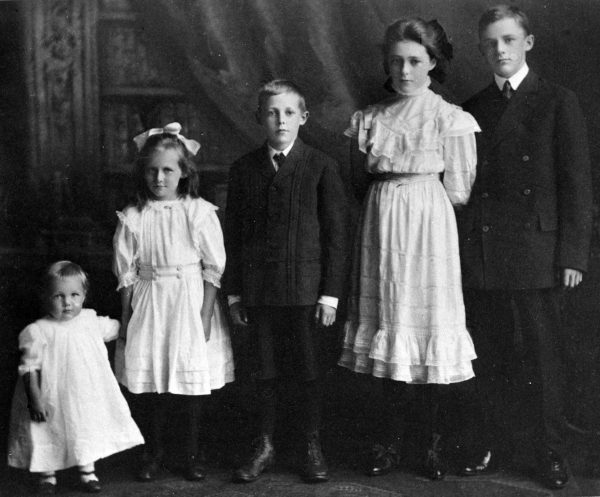 Mrs. Rogers and her children lived in the house until 1935, when Financier Austin C. Taylor purchased it. The Taylor family lived here until Austin Taylor’s death in 1965. The property was purchased in the late 1960s by Wall & Redekop (now Wall Financial Corp.) and Erickson/Massey Architects was retained in 1972 to redevelop the property for a residential development as Shannon Mews but the original mansion, coach house and garage were preserved, as was much of the landscaped setting. A recent redevelopment of the site by Wall Financial and designed by Perkins+Will architects has included comprehensive heritage conservation of the mansion, including interiors, as well as the gatehouse, coach house and perimeter wall, along with landscape elements and gardens, led by Robert Lemon Architect. The Bungalow by R M Fripp, 1900. Vancouver of Today Architecturally. The Rogers sugar fortune also led to the construction of many other grand buildings including B.T.’s first house, The Bungalow, designed by R. Mackay Fripp. In 1919, B.T. and Mary’s eldest son, Blythe, married architect Alix Wilson, and they commissioned architect Bernard Cuddon Palmer, who also designed WilMar, to design a grand Tudor Revival mansion, Knole, on fashionable Southwest Marine Drive. In 1939, younger son Forrest Rogers and his wife, Gwynneth, began construction on 2680 West 50th Avenue, a grand home designed by architect John Wade. B.C. 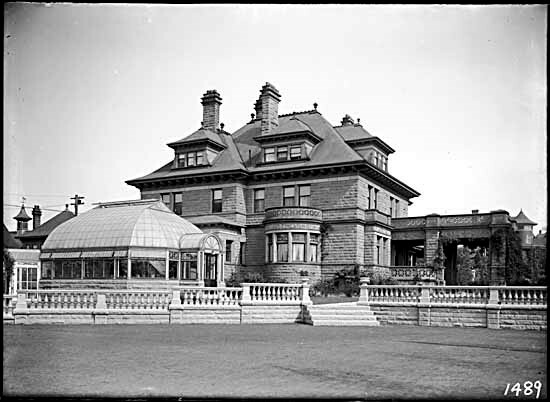 Sugar president Phillip Tingley Rogers built a grand French Provincial, mansard-roofed 50-room mansion at 2010 Southwest Marine Drive in 1953, designed by architects Polson & Siddall, that cost $135,000. 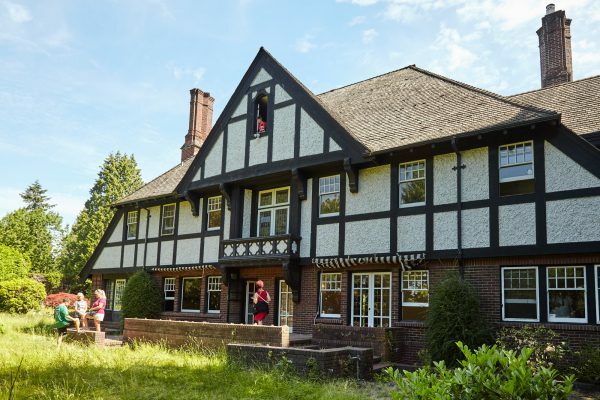 The architectural legacy of the Rogers family includes some of the finest homes to be built in Vancouver. Several remain and the elegance and workmanship seen in these homes still are still inspiring and offer visual reminders of our city’s early trailblazers. 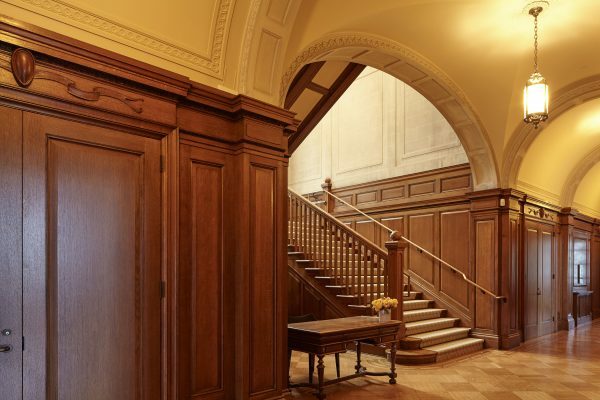 Join us on June 4th to see inside the recently restored principal reception rooms, gatehouse and Italian Garden at Shannon, open one day only on the 15th annual Heritage House Tour. VHF would like to thank guest writer, Donald Luxton for this post. Donald is a Heritage Consultant and Principal at Luxton & Associates Inc. He also has a sweet tooth and grew up with Rogers Sugar products many, many years ago. Bentall, Shirley. The Charles Bentall Story: A Man of Industry and Integrity. The Bentall Group Limited, 1986. Howay, F.W. and E.O.S. Schofield. British Columbia: From the Earliest Times to the Present. IV, pages 22-25. Vancouver: S.J. Clarke Publishing Company, 1914. Kluckner, Michael. I. Rogers 1869-1965. Victoria: J. Gudewill, B.C., 1987. Luxton, Donald. Building the West: The Early Architects of British Columbia. Vancouver, Talonbooks, 2nd ed., 2007. McDonald, Robert A.J. Benjamin Tingley Rogers. Dictionary of Canadian Biography [online]. Parr & Fee et al. Vancouver of Today Architecturally. Vancouver, 1900. Schreiner, John. The Refiners: A Century of B.C. Sugar. Vancouver, Douglas & McIntyre, 1989.